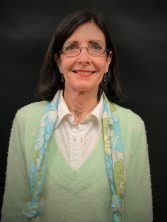 Born in Dayton and raised in Richmond, VA Trace is one of our sales associates. He has been producing and editing music for four and half years and has played piano since childhood. Outside of the store he loves reading, exercising, studying ancient history, and he visits a new country every 18 months. 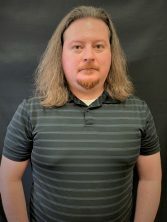 Jesse has been a rental contract and lessons studio coordinator for McCutcheon Music since April of 2018. He was born in Virginia and moved a lot as a child, finally ending up in Troy, OH and graduated from Milton-Union High School. 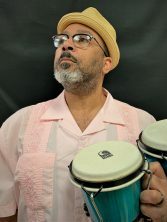 He has a BM in musical performance in percussion from Wright State University and enjoys producing, engineering, and playing with the University of Cincinnati Bearcat band. 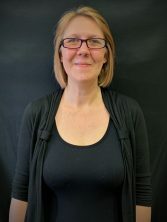 Haley is our store/purchasing manager and has worked for McCutcheon Music since October of 2003. 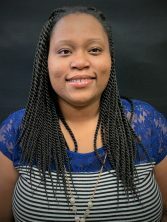 She was born in North Dakota and moved a lot as child and eventually ended up living in Dayton to attend Wright State University where she recieved her BM in musical performance with an emphasis on Pedagogy. In her free time she enjoys being boring, cooking, crafting, snuggling with her dogs, and spending time with friends and family. 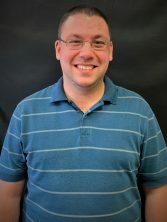 Adam was born and raised in Dayton, OH and is our tech support and graphic designer. He has toured the U.S. and recorded with several bands over the past 7 years as a drummer and is a studio session musician. In his free time he enjoys caring for his animals and spending time with his wife. Born in Lewistown, PA and raised in Bethlehem, PA, Vinnie is a sales associate and teacher at McCutcheon Music. He spent 24 years playing bass for the Air Force Band and has traveled the globe playing music. He enjoys good coffee and has a podcast with a fellow bassist called “On Bass and Off Point”. A fun fact about Vinnie is that his first gig with the Air Force was for Bob Hope. Eva has been our inventory manager since January of 2016. 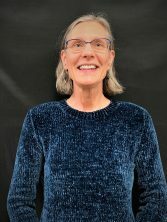 Born and raised in Coshocton, OH she plays several instruments, loves camping, playing zombie tag with her grandchildren, going to concerts, gardening, and staying active. 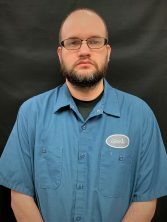 Kyle was born in Cleveland and raised in Medina, OH and is one of our sales associates. He holds a BA in psychology and a BM in music education, has taught various marching ensembles all over Ohio since 2011, and has taught general music since 2017. He enjoys caring for his Siberian Huskies, Finn and Sadie, cooking, building computers, and lifting heavy objects in hopes of achieving greater fitness (or going to the gym). Matt is a sales associate, road representative, and teacher. Born in Dayton and raised in Kettering, Matt has worked for McCutcheon Music since November of 2013 and holds a bachelor degree in music performance form Wright State University. In his free time, you can find him playing foosball and ping pong, or at a beer and wine tasting. Matt and his girlfriend love caring for their fur baby, Misty. 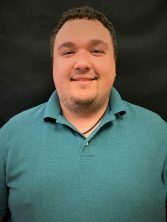 John was born in Xenia, OH and has been a road representative and teacher for McCutcheon Music since November of 2015. He has played trumpet professionally since 1973 with acts such as The Stan Kenton Orchestra and graduated from Ohio State University in 1985. He was also a band director for several schools in the Dayton area since 1985 and is an accomplished conductor. In his free time, John enjoys woodworking, arranging music, and (even though he’s messy) he likes cooking. Doug is our lessons studio manager. He was born in Dayton, OH and has lived in the mountains of New York, California, and Oregon. He holds a BS degree in education and has over 50 years as singer/songwriter playing in bands and as a solo artist. In his free time, he enjoys horse back riding and walking his dog. He has a black belt in Tae Kwon Do and is currently studying Tai Chi. 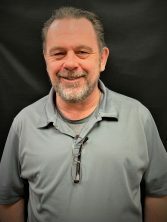 Paul is a brass and woodwind technician born and raised in Versailles, OH and is a graduate of Minnesota Southeast Technical College (Red Wing Campus). 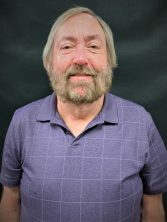 He was a technician for Marshall Music in Lansing, MI for five years and has worked for McCutcheon Music since November of 2016. Rich has been repairing musical instruments since 1965 and our repair and restoration shop manager since 2002. He holds a bachelors of science in music education from the University of Dayton and is a former Army bandsman. After leaving the army in 1982, he opened and operated Ervin’s Winds and Strings in Dayton, OH for 11 years. Rich is the author of the successful instructional book “Orchestral String Repair”. Jim has been repairing musical instruments for over 60 years. 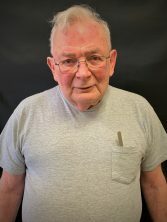 He and his family owned and operated Roetter Music in Dayton, OH for over thirty years where he developed his skills in repair and later broadened his repair base studying violin repair with Peter Horn in Cleveland, OH. Jim’s innovative approach to repair work lead to the development of a laser system for fitting cello and bass bridges. 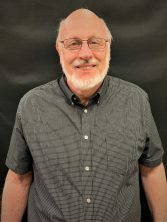 Born and raised in Dayton, OH Rick has worked for McCutcheon Music since 2007. He initially started in sales and management and eventually moved to musical instrument repair. He studied music education at Sinclair Community College and enjoys playing guitar, composing, performing and recording music. For fun, he names virtually every groundhog he sees.